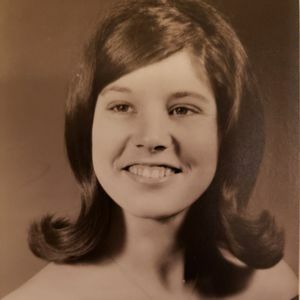 Charlotte Mae Thurman, 69, of Springfield, Missouri, passed away on October 31st, 2018 in Frisco, Texas. Celebration of Life service will be at 1pm January 12th 2019 in the Chapel at Crossway Baptist Church in Springfield, Missouri. Pastor Tom Maples of Crossway will be officiating the service. A private burial will follow at Eisenhour Cemetery in Highlandville. Charlotte was born in Springfield, Missouri to Charles Madison Tarter and Lela Mae Tarter on March 12th 1949. She went to High School in Hurley, Missouri. She then graduated from St. John's School of Radiology in Springfield. She worked as a Radiologic Technician, Mammography Technician, and a Nuclear Medicine Technician. However, this is not her identity. Her identity is in our Lord and Savior Jesus Christ as a child of God. As a little girl, she attended Wright's Chapel in Hurley. She loved going there every chance she got. She accepted Jesus Christ in her 20's at First Baptist Church of Battlefield. She loves Jesus with all her heart and lived for him continuously. Charlotte is preceded in death by her father Charles, her sister Martha, and her brother Hershel Lee. Charlotte is survived by her mother Lela, brothers Clayton, Bud, and Chris, her sister Tina, son Sean, daughter Maegan, and her grandchildren Hannibal and Caraline. In lieu of flowers, donations may be made to Crossway Baptist Church. The family of Charlotte Thurman wishes to extend our sincere thanks to Charlotte's Employer, CDI Incorporated, and David and Connie Garrison for helping us in our time of need.